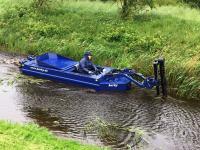 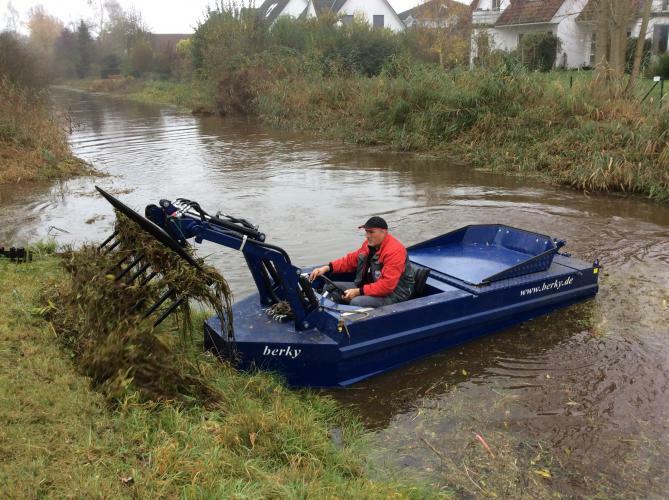 The powerful, agile and robust mowing boat model 6310 is ideal for cutting and clearing the sole and the embankments in brooks, ditches and lakes. 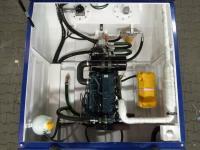 The hull is made of reinforced marine sheet and has a double, waterproofed top coat. 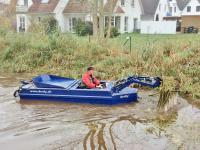 With a powerful, winding free auger drive and a powerful diesel engine (36 kW/ 49 HP), the mowing boat model 6310 reaches a speed up to 8 km/ h forwards and is therefore also suitable for water with high flow rates. 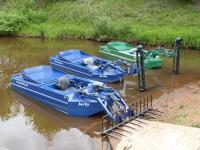 With the front lifting device and quick coupler the boat can mount various implements. 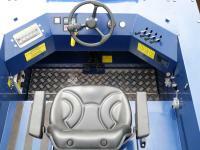 Furthermore, due to the ergonomically designed cockpit it guarantees an even better ride comfort and ensures an easier maintenance of the cockpit.